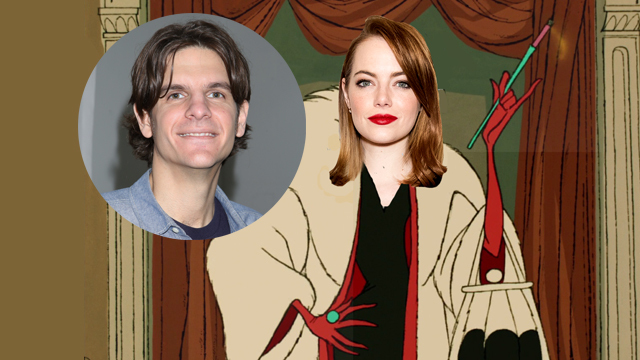 Walt Disney Pictures‘ upcoming Cruella de Vil movie appears to have found a director as The Hollywood Reporter today brings word that Alex Timbers, co-creator of Amazon‘s acclaimed Mozart in the Jungle, is now in talks to helm. La La Land‘s Emma Stone is attached to play the title role. First scripted by The Devil Wears Prada scribe Aline Brosh McKenna, the Cruella De Vil movie’s most recent draft hails from Kelly Marcel (Fifty Shades of Grey, Saving Mr. Banks). Andrew Gunn is producing with Kristin Burr and Jessica Virtue overseeing for the studio. Although Cruella will marks his feature film debut, Alex Timbers is well known for stage directing and has twice been Tony Award-nominated for his work on Broadway. Mozart in the Jungle, which stars Gael Garcia Bernal, Lola Kirke, Malcolm McDowell, Saffron Burrows, Bernadette Peters, Hannah Dunne and Peter Vack, just debuted its third season on Amazon. What do you think of Alex Timbers as the Cruella director? Is there anyone else you’d like to see join the cast? Share your thoughts in the comments below!